ATTICA. Athens. 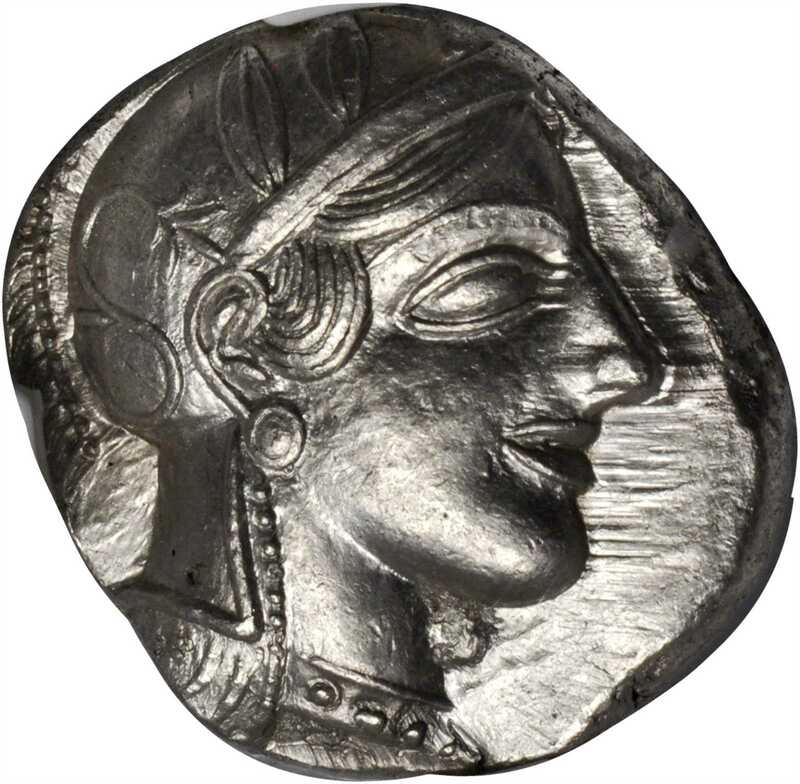 AR Tetradrachm (17.19 gms), ca. 440-404 B.C.Svoronos-pl. 14#4. Helmeted head of Athena facing right; Reverse: Owl standing right, head facing, olive sprig and crescent moon behind, all within incuse square. Booming luster and terrific strike details coalesce in this great offering of the ever-popular Owl.NGC MS, Strike: 4/5 Surface: 4/5.